Tirana is our city and we do love it in all seasons. But the autumn is adorable for its colors. 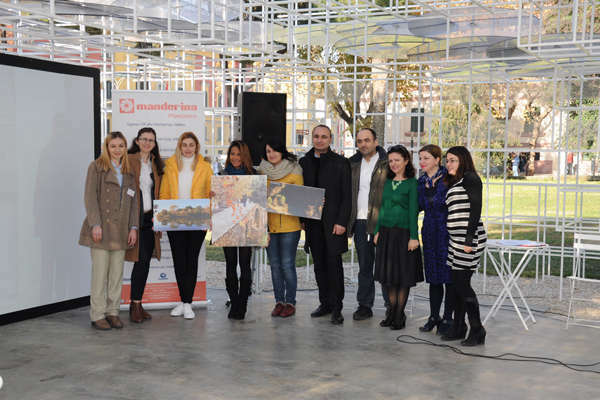 That is why Visit Tirana organized a photo competition in social media to gather in one place all the autumn colors of #Tirana, but also involve citizens in promotion of our city through sharing their passion for photography. Our social media contest with hashtag #TiranaAutumn ran from 27 October to 27 November 2016 in Facebook and Instagram. More than 500 photos were submitted for a month, which is high participation. From mountain Dajti, rural area, rivers, lakes, villages and down to city center, we have seen beautiful photos from professional photographers, but mostly from citizens. It was hard to choose the best of them, but we got help by people who selected top 10 photos through their "like" button. Having the 10 most liked photos, Visit Tirana team selected three of them, one to represent the city center, one the rural Tirana and one photo from Tirana Artificial Lake, the most popular place in the city. The winners of #TiranaAutumn social media competition were announced during a ceremony held at Reja, on 10th of December 2016. 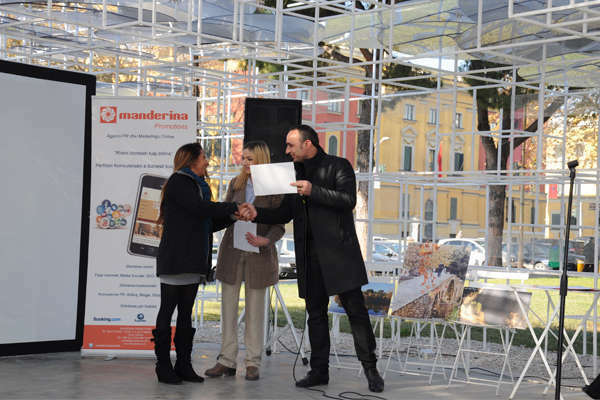 First prize was given to Cynthia Navarrete, a tourist from Ecuador, who arrived in Albania a few months ago and has already traveled a lot. As she says “she is in love with many places in Albania she can’t resist but taking photographs them. Her photo of Tanner Bridge was the best one. Second prize was given to Valter Zhara for his photo from Brarr village, rural Tirana. With third prize is awarded Erisa Shaba for her photo: Reflex on the Tirana Lake. 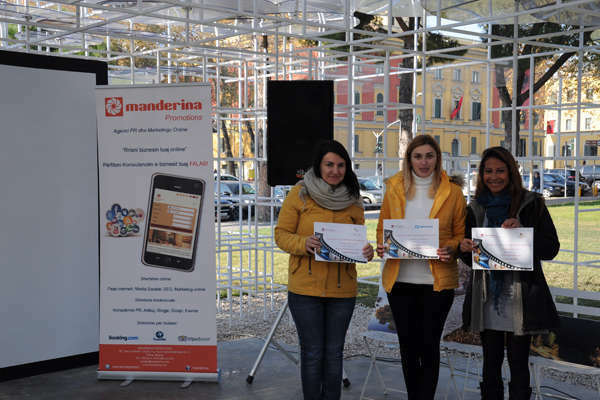 Visit Tirana had the partnership of some businesses who offered their services for free to the winners. 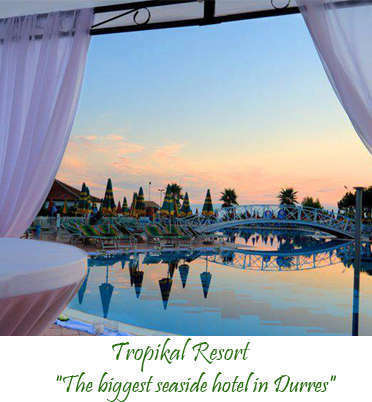 The first prize won a night stay for two at beautiful hotel in the heart of Tirana, Theranda Hotel (Theranda is an old name of Tirana). The second winner won a lunch for two at Mullixhiu Restaurant, one of the best traditional restaurants in the city, and the third winner got two tickets to ride with cable car to Mountain Dajti. The event was organized at Reja, quite a popular place for events in Tirana in partnership with APR (Agency of Parks and Recreation). Promoting the city through its own citizens is the best way to do it. 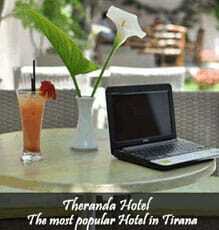 Visit Tirana will continue to run similar competitions and organize events. We are living in a city with a very rapid growth and development. It has a young spirit, it is vibrant and moving, and can be a nice European destination.